An excellent basic all around tote. Weighs next to nothing. Crunches up, or rolls up. 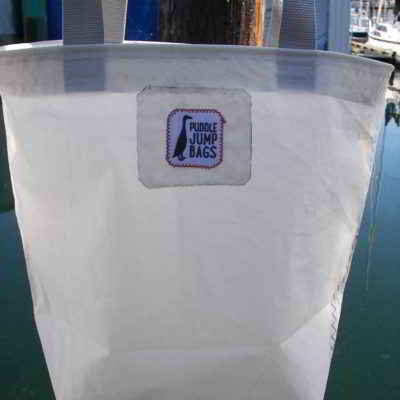 Makes an excellent companion bag to the Puddle Jump Marina Bag, or the Puddle Jump Anchorage Bag. Made with upcycled sail cloth. 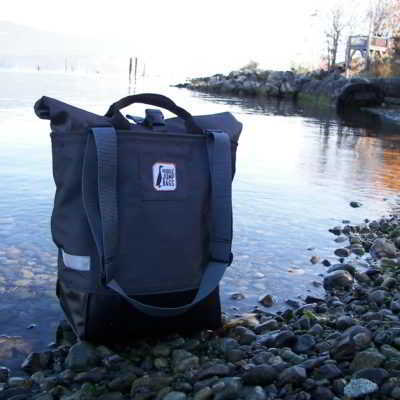 Made in Cowichan Bay, BC. An excellent basic all around tote. Weighs next to nothing. Crunches up, or rolls up. 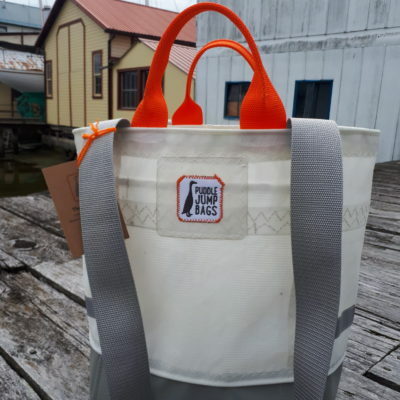 Makes an excellent companion bag to the Marina Bag, or the Anchorage Bag. Made with upcycled sail cloth. 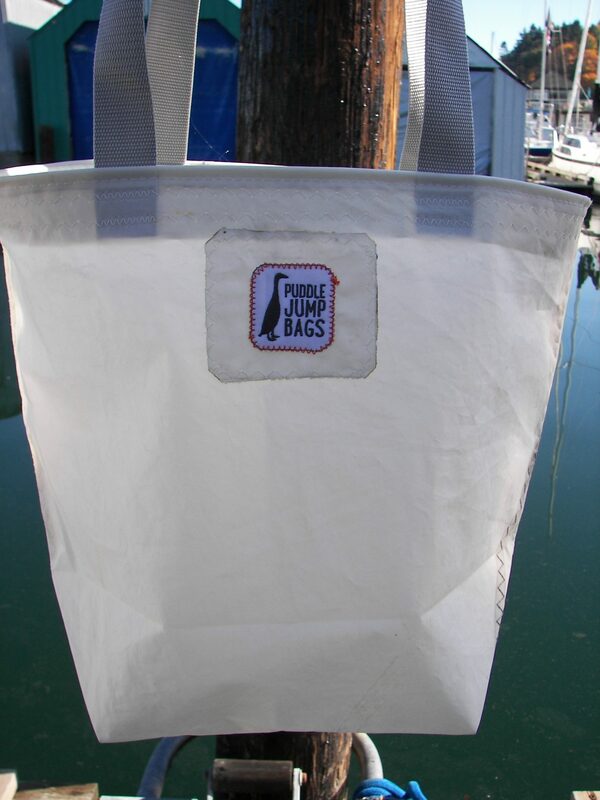 made with upcycled sailcloth, each bag is unique! upcycled sailcloth, cleaned and treated.